Meet the new Pied Pipers of our Global Village: the Media! In the well known legend, the pied pier of Hamelin played his musical pipe to lure all the rats into the nearby Weser river. When the town reneged on the promised fee, he played a different tune to entice all its children away from the town. 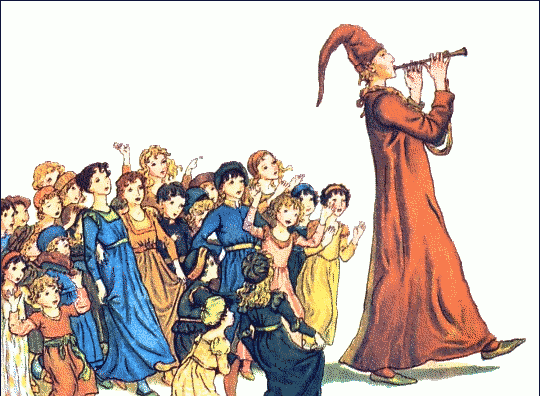 Modern-day pied pipers use smooth talk and convincing images instead of hypnotic musical tunes to lead people astray. And they achieve much greater coverage today — thanks to the modern media. When the media amplify pied piper tunes, how responsible are they for the resulting damage? This is the question I raise – and try to answer – in an op ed essay published this week by the Asian website Eye on Ethics. ‘When media amplify pied piper tunes…’ was inspired by a current experience in my native Sri Lanka. 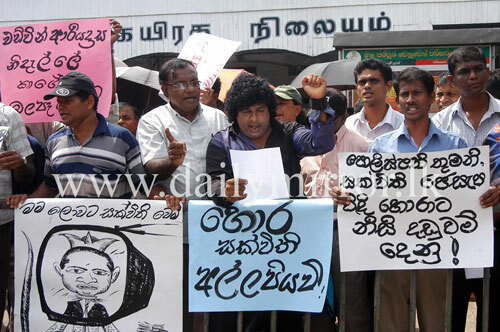 For the past few weeks, Sri Lankans have been shocked and dismayed to learn how thousands of middle-class adults have been hoodwinked by a confidence trickster who used paid advertisements in newspapers and on television to boost his image. Sakvithi Ranasinghe, a populist tutor of English turned businessman, fled the country in mid-September 2008 after duping thousands of unsuspecting people to deposit money in an Ponzi-style investment scheme that offered abnormally high returns. After the scandal broke, the media have been giving it a great deal of coverage. But most of it falls into follow-the-victim, blame-the-authorities style of journalism. “Many people experience media products as a whole, and lack the media literacy to separate news, commentary and paid commercials. Besides, the once clear demarcations have blurred in recent years. “Television’s seamless blending of news, entertainment and commercials can leave even the most media-literate people somewhat perplexed. News bulletins are sponsored variously by sellers of insurance, milk food or detergents, while current affairs shows are branded by various commercial products or services. « Encounter with Anpanman: A superman made of bread!